In addition to all taxes and tax liens on real property accrued for years prior to the year of the decedent’s death, petitioner elects to have property taxes on any real property set apart as year’s support divested as follows: (only select one). petition is filed in the year of the decedent’s death. Additional Data: Where full particulars are lacking, state here the reasons for any such omission. 1. That this petition be accepted and filed. 2. That notice issue and be published and served as described above. 3. 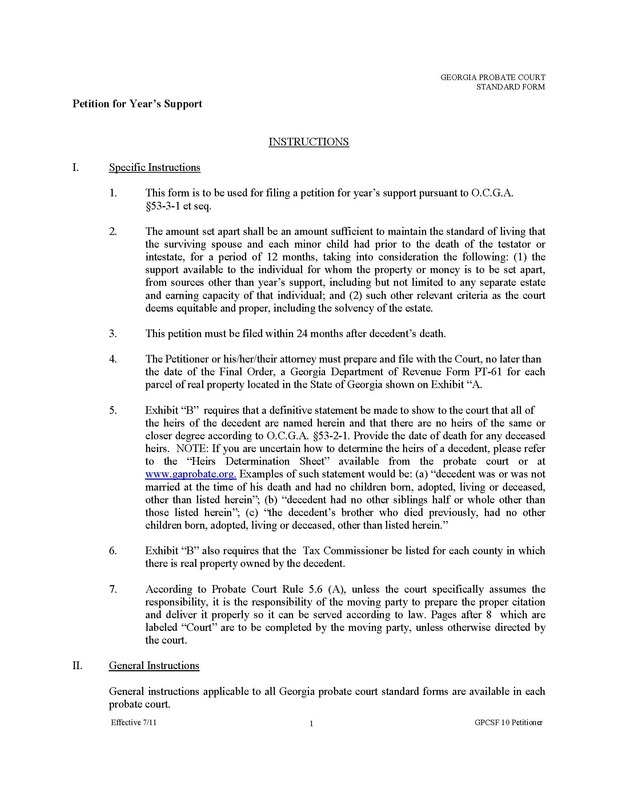 That any interested person who is a minor or an incapacitated adult have a guardian ad litem appointed for him or her, except for any minor child of decedent on whose behalf this petition has been filed by a guardian who is not the spouse of the decedent. 4. That this Court grant such other and further relief as it deems proper under the circumstances.